As per Counterpoint Research, OnePlus has surpassed Samsung to become the leader in the premium segment phone in Q2 2018. The surge in sales of its OnePlus 6 has made this possible. The premium segment in India is defined by phones that value more than Rs. 30,000. 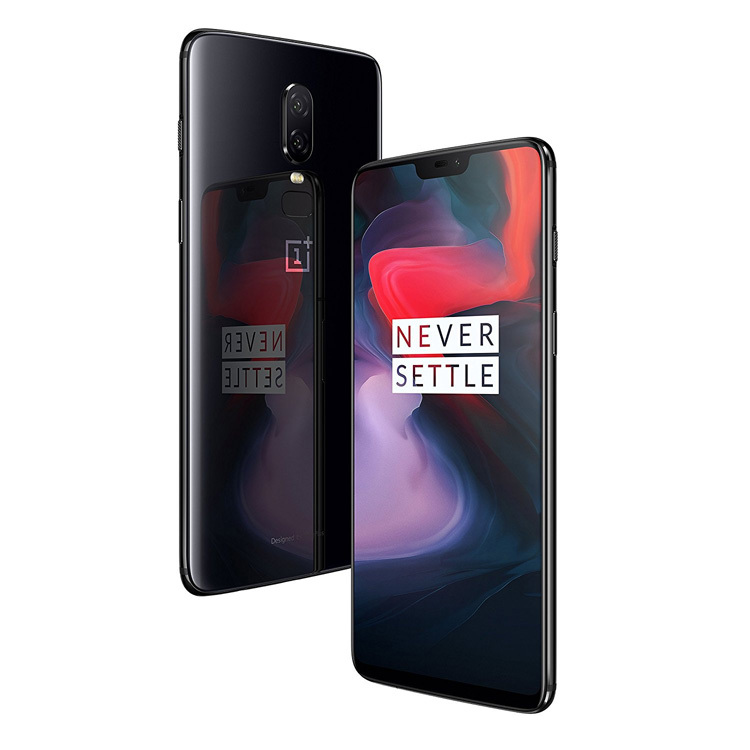 OnePlus has a strong online community as it delivers developer friendly devices that provide total bang for your buck with the latest hardware. In terms of software updates, OnePlus also regularly releases updates for its devices. Most recently, it announced Android P availability for its two-year-old device OnePlus 3/3T. OnePlus has also now started their offline exclusive stores that also makes the phone available off the shelf, rather than the flash sale model that it started with. Samsung, on the other hand, is focussing on its Galaxy S9 series. The lack-lustre performance of Galaxy Note8 is also one of the causes. Apple as well had a mediocre quarter in India with the demand for iPhone 8 and iPhone X going down. To gain the market share, Apple still sells the iPhone 6 in India. Other players like Vivo, OPPO and Honor (Huawei) are also gaining strong foothold in India with Vivo coming with an innovative elevating camera phone Vivo NEX. OPPO, on the other hand, has come up with FIND X, that features motorised camera. With these innovations, Samsung seems to just refresh the line-up with same look and feel to its devices. 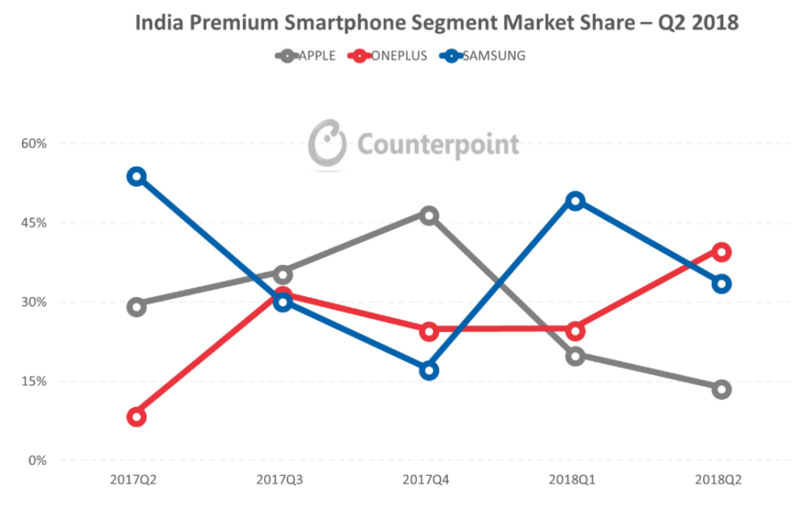 Overall, OnePlus, Samsung and Apple contribute to the 88% of the premium smartphone market. Out of this for the first time, OnePlus commands 40% share. Samsung, on the other hand, captured 34% market share in Q2 2018 and Apple trailing behind with just 14% share.